It's a question I get asked often now when doing interviews or post-screening Q&A’s since my short psychological horror-thriller Paralysis has been on the festival circuit this year. My answer is always, “the human mind.” Perhaps which is why I love the sub-genre of psychological horror so much. When they excel, these films can truly capture the terrifying ways our minds can betray us. But I admit, there are other fears I have: primarily the Unknown. I am both fascinated and horrified by the Unknown, but more than anything, I’m intensely curious and intrigued by it. What fascinates me in particular about the Unknown are the monsters: the ones within, the ones we create and the ones that are very real. The horror genre at its best has always been symbolic in the way it can penetrate and expose our personal and cultural fears. I’ve always been riveted by the various monsters and villains that the genre has created since its inception. These villains have had a lingering effect on the pop culture conscience for years. One of my best friends Nicole hates being scared and it’s primarily the fault of Candyman. She told me after seeing the film as a kid that that was a monster she couldn’t shake and has basically kept her far away from the horror genre as a whole. It made me wonder, what is it about Candyman that scared her? What does he represent? What does he tap into that scares so many of us? It lead me to think of my favorite horror movie monsters and why their presence in film continues to linger with me and with us all. Spoiler Alert! In case you haven’t seen some of these films, there will be details discussed regarding some minor and major plot points. I have a confession to make: Aside from the original Friday the 13th film and perhaps my favorite Jason film, Friday the 13th VI: Jason Lives, I’ve never been a huge fan of the Friday the 13th franchise but it doesn’t mean that Jason Voorhees isn’t scary as hell. Perhaps he gets it from his Mama. The last thing I need following me in the middle of night is a deranged killer hiding his deformed face behind a ski mask. 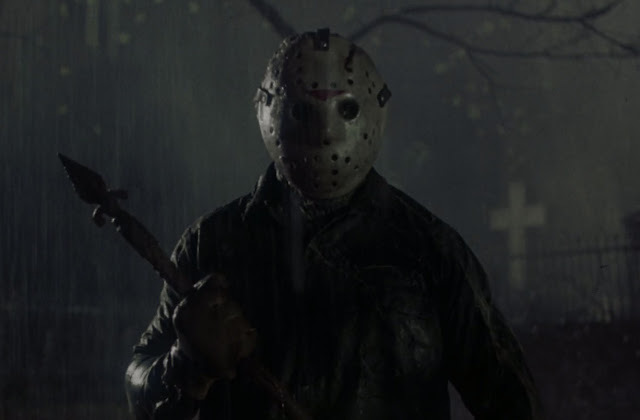 Jason, in a sense, is a sympathetic monster based on his backstory of being a child who drowned at camp and his mother taking murderous vengeance on the camp counselors in the original film. In the following films, Jason emerges from the grave to continue in his mother’s, um, homicidal footsteps. I’ve always believed Jason deserved better films because he’s such a spine-chilling figure as a brutal killer, who, like Michael Myers, is cold-bloodedly unstoppable. 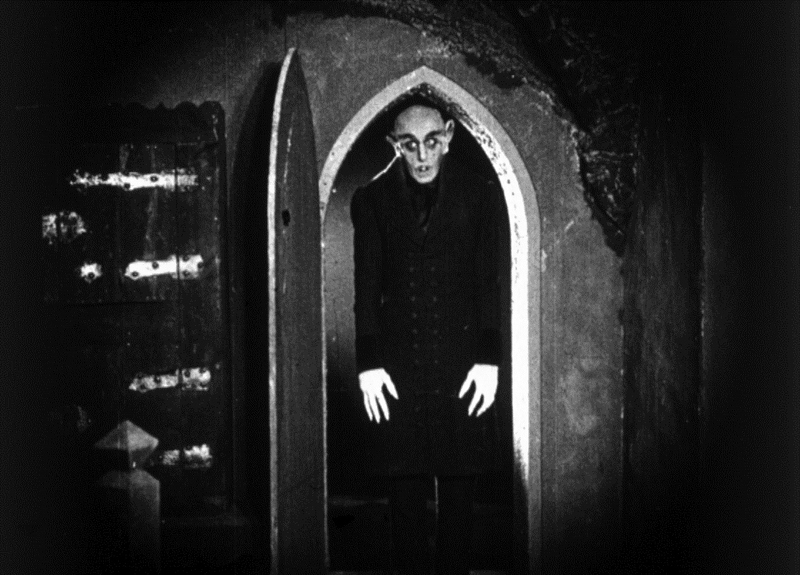 Controversially based on Bram Stoker’s Dracula, Count Orlok is the vampire of the eerie 1922 silent film Nosferatu. He is also known as the Bird of Death and he feasts on the blood of the living. He dwells alone in an eerie castle in the Carpathian Mountains. The townspeople are terrified of Orlok and never go out after dark. Upon viewing this classic, it’s obvious this freakish character has inspired so many great horror film monsters. Count Orlok is often framed in the shadows with frightening depth. Just starring into his piercing eyes is enough to curdle one’s blood. The film is based on Stephen King’s best-selling novel, Misery. After viewing it the last thing you will ever want is for someone to tell you that they are your number one fan. 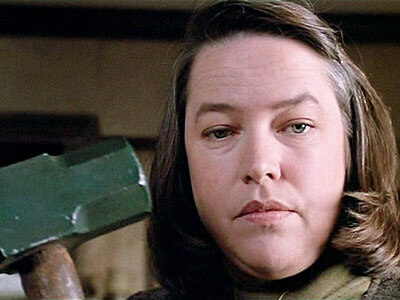 Annie Wilkes played fearlessly by Kathy Bates is the ultimate nightmare for any writer (in this case) or perhaps any celebrity or figure in the public eye. When novelist Paul Sheldon is in a car accident and is rescued by Annie Wilkes, his biggest fan, she holds him captive in her home during a snowstorm while he recovers. Well, of course, Annie doesn’t want Paul to heal, she wants him to stay and she will torture him to keep him from escaping. There is something truly terrifying about a fan’s adoration growing increasingly psychotic. But truthfully she was always psychotic right? Annie presents herself as upbeat and cheerful and as soon we see the facade break, she becomes brutally menacing. She can enact kindness and rage from one moment to the next in the most unsettling ways, while professing this deep devotion to Paul and his novels. Kathy Bates’ performance of Annie Wilkes is profound. The way she gives Annie this faux All-American wholesome joviality that from the very beginning is intensely creepy despite each bright smile and polite gesture. So I will never go spelunking like the group of women friends in 2005 horror adventure, The Descent. That was the message of the film for me. 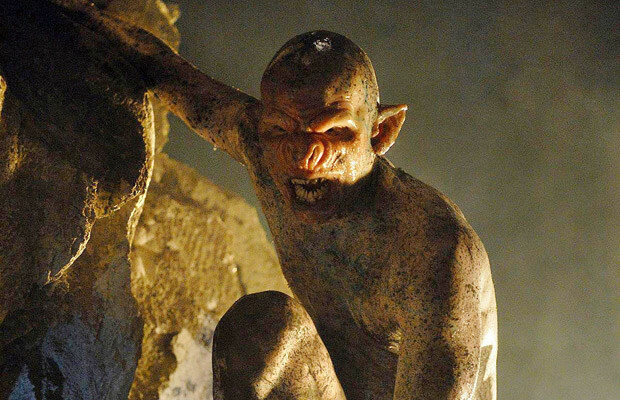 Don’t go spelunking unless you want to be attacked and shredded by the humanoid crawlers that dwell in the darkest recesses of the Earth. The film is already excruciatingly claustrophobic even before we are introduced to these blind humanoid crawlers who stalk the women by sound and not sight. These crawlers are unrelenting and murderous on their own quest for survival in the darkness, ripping through the flesh of anyone that stands in their way. During my childhood years, Candyman scared the hell out of us kids who lived in what always felt like a spooky apartment building in my working class neighborhood. We had never seen anything like Candyman in the movies before. 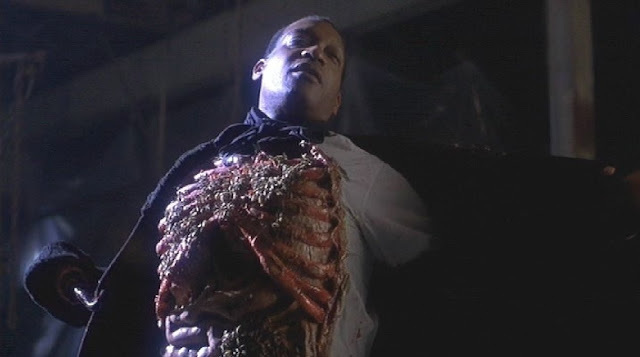 Candyman was the Boogeyman who also happened to be a Black man, and for Black and Latino kids growing up seeing Michael Myers, Freddy Krueger and Jason Voorhees, we were completely mesmerized and frightened by Candyman. To this day, I refuse to say his name five times in a bathroom mirror. Played brilliantly by actor Tony Todd, Candyman was a slasher but he was also so much more. With his brutal backstory revealed in Candyman 2, he was elevated past the typical psycho villain, becoming a tragic figure and one of the few skillfully drawn monsters in the slasher genre. What a complicated creature we have in Frankenstein’s monster. 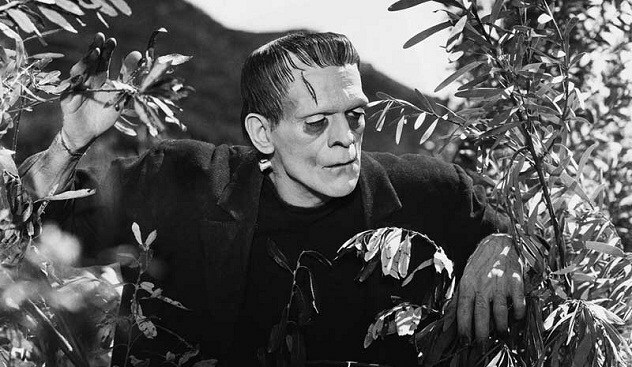 The extraordinarily unnerving 1931 film adapted from Mary Shelley’s exquisite novel is an unsettling hodgepodge of ideas from its very premise: a monster created from buried corpses (by an obsessed scientist with the ultimate God-complex, Dr. Frankenstein) is the, um, embodiment of the walking dead. The creation is a success but a tormented and profoundly traumatized one. Once the Monster escapes and begins to wreak havoc, we are drawn into its quest for a sense of self and the ruthless torment of what it means to exist without purpose, which may be the scariest thing of all. During the year Psycho came out in 1960, it was said that filmgoers were scared to take showers. 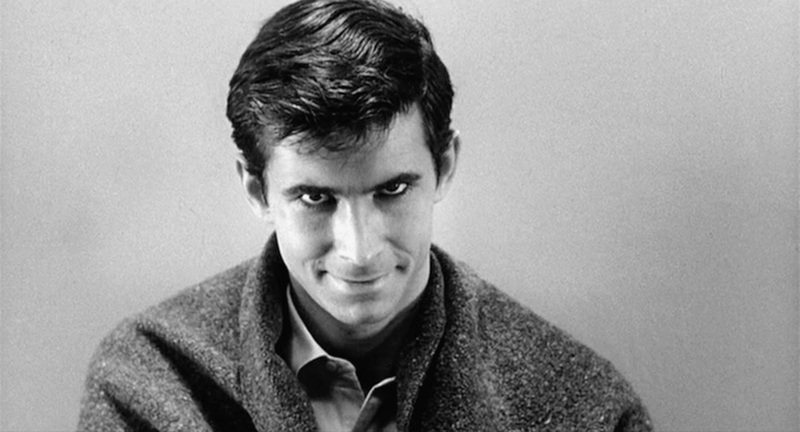 It’s also worth noting, women to this day are still warned of dating men with “mommy issues.” Is this perhaps the Norman Bates effect? Anthony Perkins gives a goosebumps-inducing performance as the deranged hotel manager Norman Bates. He’s just absolutely creepy. The fear he represents of the seemingly kind stranger whose evil lurks just beneath the surface is deeply disturbing. He doesn’t necessary look like a deranged killer those audiences must have thought when the film debuted. That perhaps is what makes Psycho such a significant piece of filmmaking especially for the horror genre: the way it presented Norman Bates. Rarely before was there a monster that didn’t look like a monster. Norman Bates could be your next-door neighbor, a schoolteacher, the guy who offers to carry your groceries to your car. This is why he haunts the pop culture conscious and his cinematic legacy still lives on. Finally, we all had to admit that there is no ready-made appearance of a monster. It literally could be anyone. If this is what awaits us in outer space, then I’m perfectly fine here just chillin’ on Earth. The Alien monster Xenomorph was introduced in the 1979 Alien film masterfully directed by Ridley Scott. 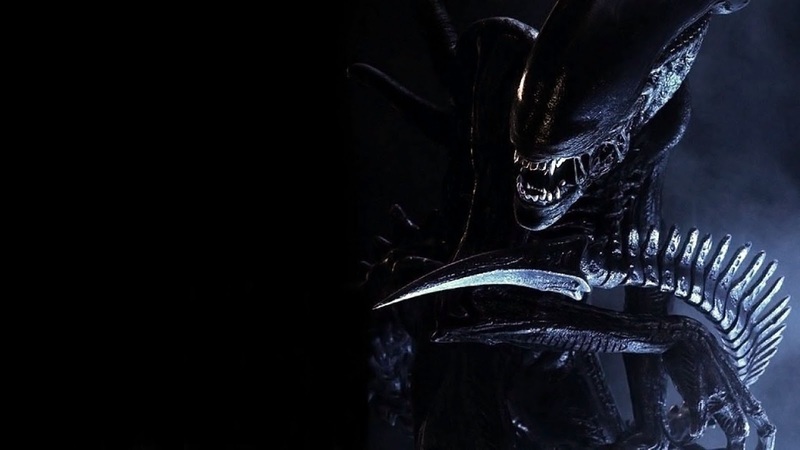 Xenomorph, the Alien Queen is a vicious, relentless monster in whatever form she takes on: be it gooey, face-hugging or bursting mercilessly through one’s chest. You don’t want to mess with this beast, especially once in full form. There is a sick sense of humor that resonates in Freddy Krueger throughout the Nightmare on Elm Street series, which makes him a fave among many horror fans. But despite his humor, Freddy Krueger is still the literal stuff of nightmares. He takes delight in your suffering in a way that makes him distinct from the other slashers of the genre. He is a murdered child killer who now stalks through your dreams. I mean, is there anything more terrifying? The psychology of this concept has always fascinated me simply because eventually we all have to go to sleep. A monster that can take domain over us in one of our most natural, vulnerable and necessary states of being is so darkly imaginative by design. 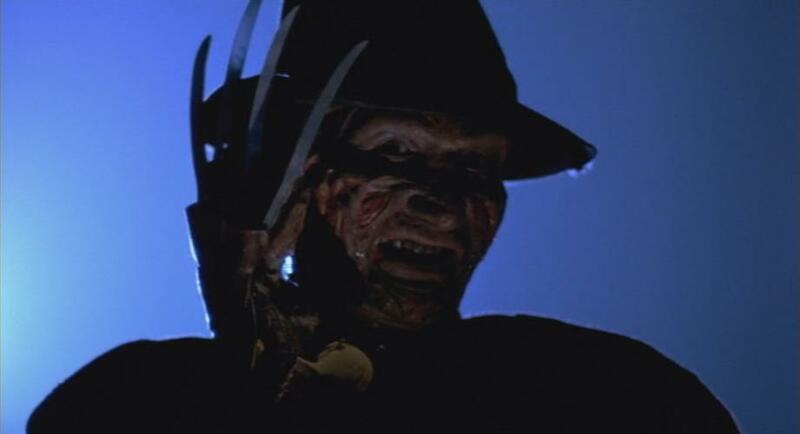 The best advice of never having to stare down Freddy Krueger is to stay awake. Forever. Because the moment you close your eyes… well, good luck. 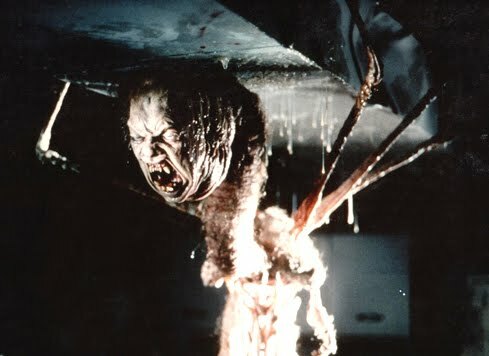 The Thing is a terrifying John Carpenter horror film from 1982, a remake of the classic The Thing From Another World which was equally excellent. Wow, and talk about a horror movie monster? I remember the first time I saw this film and having to turn away several times from this gruesome parasitic shape-shifting alien mutant. What’s most scary about this particular monster is that it has the ability to take on human form, meaning that you or I could become The Thing. When there’s no one to trust, not even yourself: that is the epitome of horror. Stanley Kubrick directs an absolutely masterful adaptation of Stephen King’s best-selling novel, The Shining with a surgeon’s precision of spine-tingling suspense. 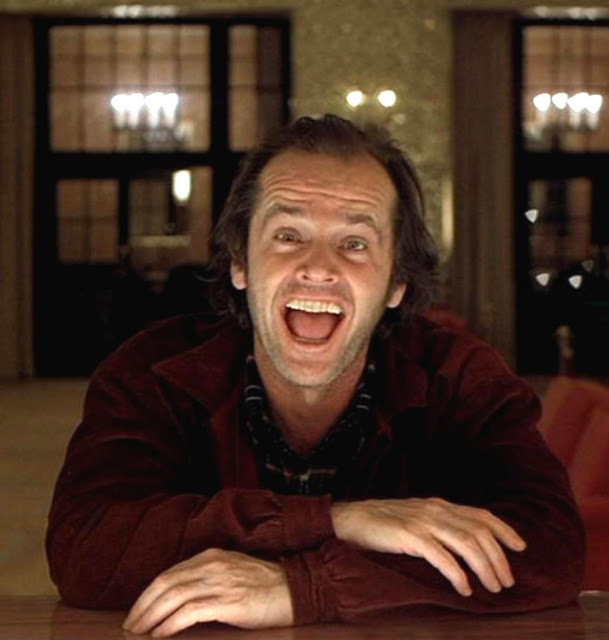 Watching Jack Torrance’s slow, terrifying psychological decline in The Overlook Hotel is as chilling now as it was when I first saw the film. The Overlook Hotel is already crawling with ghostly presences and a dark past but watching the vicious supernatural force of the hotel gnaw into the mind of Jack Torrance is one of the many reasons this film is considered a psychological horror masterpiece. By the time we get to the “Here’s Johnny!” climax while Jack is trying to butcher his family with an ax, we’re already shaken to our very core. We know for certain: there is no coming back from this kind of madness. Hannibal Lecter. That name alone makes me lose my appetite. He is a cannibalistic psychiatrist turned serial killer, which basically makes him the ultimate human monster. It’s his strange, intriguing connection to FBI agent Clarice Starling that makes this film resonate so deeply, which is what made me such a huge fan of The Silence of the Lambs. His razor-sharp wit and vast intelligence is frightening and the way he can see through Clarice and all her vulnerabilities gives me shivers. Is this what truly scares us? That a monster can really see us better and more clearly than we can see ourselves? And then what does that even say about us? What I found most captivating is the film’s premise: it takes a monster to lead you to a monster. Just don’t let that monster get into your head. Figuratively, and well, literally. One day I will write an entire post on why the terror of Michael Myers continues to endure and, for me, makes him the scariest horror movie monster of them all. 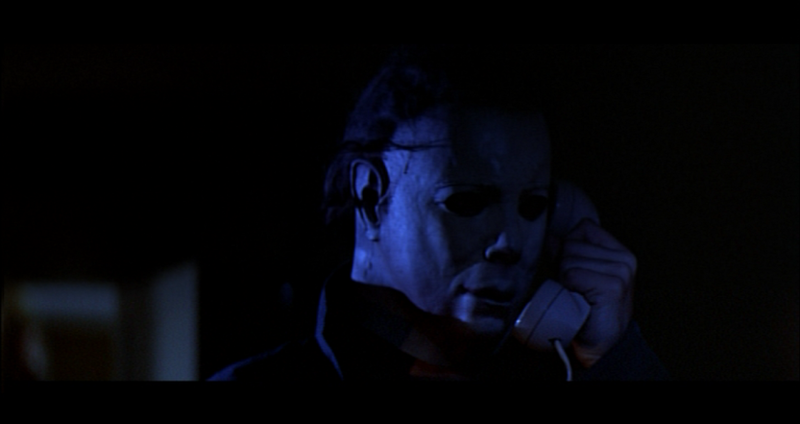 I also believe the 1978 original Halloween is the scariest movie ever. (Yup, I said it.) On most of the scariest horror monster lists, he seems to be number one or somewhere in the top three and for good reason. Michael Myers represents the true essence of horror. As Dr. Loomis explains Michael is “simply and purely evil.” After murdering his sister as a child, then escaped from a psychiatric hospital as an adult, he stalks through the Midwest suburb of Haddonfield, IL as a remorseless, silent killer. He is everything your most horrifying fears are made of. Most movie monsters are just that, “movie monsters.” But something about Michael always felt too real. Walking home late at night, looking over my shoulder. Or waking up in the middle of the night in darkness and feeling like someone or something could be in my room? Those are very real fears Michael Myers conveys. Even in the daylight, that leg peaking through the bushes on a quiet suburban street still haunts me. There is no escaping Michael Myers. He is the relentless Boogeyman. He doesn’t exist in your dreams or solely in the shadows of night; he’s there wherever you are. He’s always there. Waiting.